I feel like I run into a snag every time I try working on romance writing: I end up really, really hating my characters. And I noticed this when I read romance, too, especially when it’s set in a contemporary time period. They just all feel so anti-woman to me. Perhaps this is projecting. Perhaps this is really my own issues with being viewed as an “object,” rather than any characters actually objectifying other characters. But can’t the male lead think about something other than how sexually stimulating the female lead is? Can’t he be turned on by something other than her “ample bosom” or “thick backside” or “juicy bits” or whatever ridiculous turn of phrase an author has decided to call the lady’s body parts? In some ways, I get it. TTP and I have had this conversation recently, while doing the dishes. The target demographic for romance novels, historically, seems to be “housewives,” those domestic women who care for home and children if they have any, who are looking for some sort of escape from their every day. This, of course, is overly generalizing. For example, I am not at all a housewife, but I do enjoy a good romance novel from time to time (that is, when I’m not critiquing them, clearly). The romance novel cliche is that the woman needs a man to save her, and sometimes she helps out in that rescuing, but mostly it’s the guy that rushes in and changes her life, by making her more caring/compassionate/open to love or by literally saving her or protecting her from some malevolent force. In short, most women don’t read romance novels to feel empowered. But can that be changed? My main concern, I think, is what does a feminist romance heroine look like? Can this character still fit some of the molds that I have encountered in my reading of romance novels? Am I missing out on a vital market? Is there some feminist romance novels out there that I am simply missing out on? 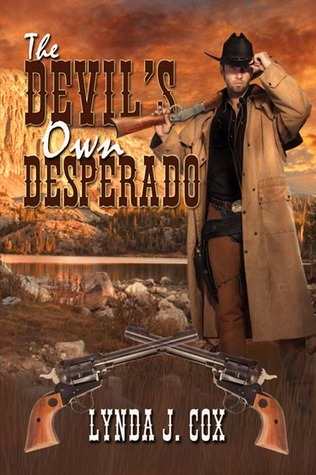 I recently picked up The Devil’s Own Desperado by Lynda J. Cox on my Kindle (does it still count as “picking it up” if it’s not even a physical copy?). I’ve been working on my own novel and I needed something romantic to read that was different enough from my own contemporary romance ideas. This did just the trick.